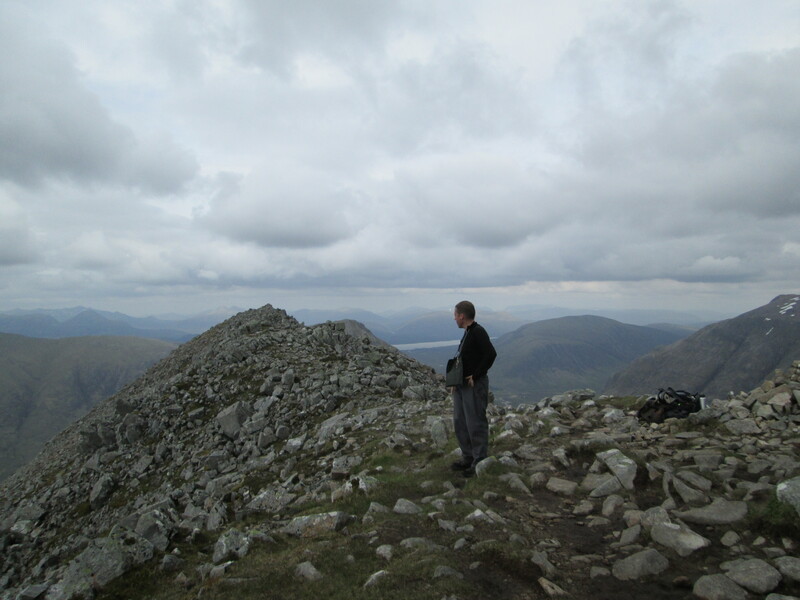 Our 2 days in April comparing cairns in the clag around Inveruglas and Arrochar was enjoyable from the perspective of getting some serious practice for route-finding in dense clag, and of spending time together. But we both decided that our next trip had to have clear weather – yes, I know we’re wimps: we both live South of Wigan – what do you expect?? 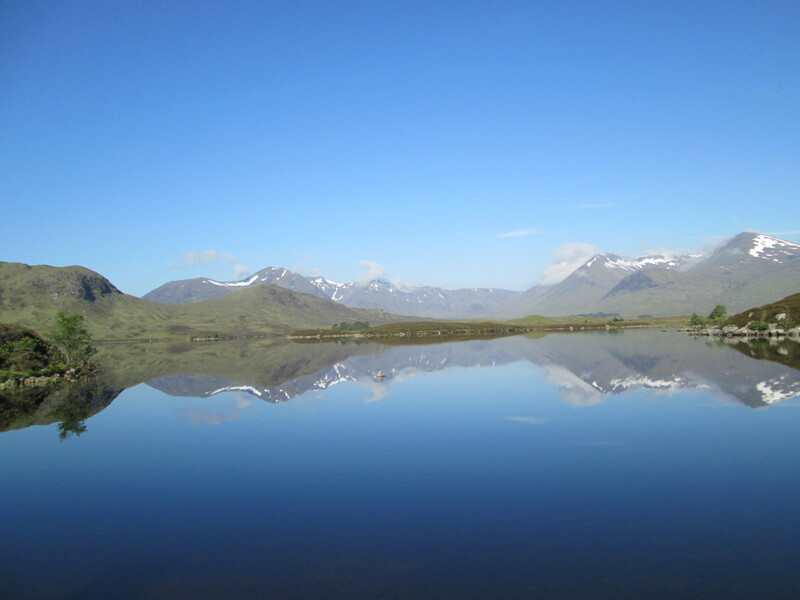 So the date was provisionally booked for 29th and 30th May; preceded in the month running up to this by increasingly frantic scanning of every available forecast (don’t laugh: it did seem to turn the weather for the better on 24th May…). 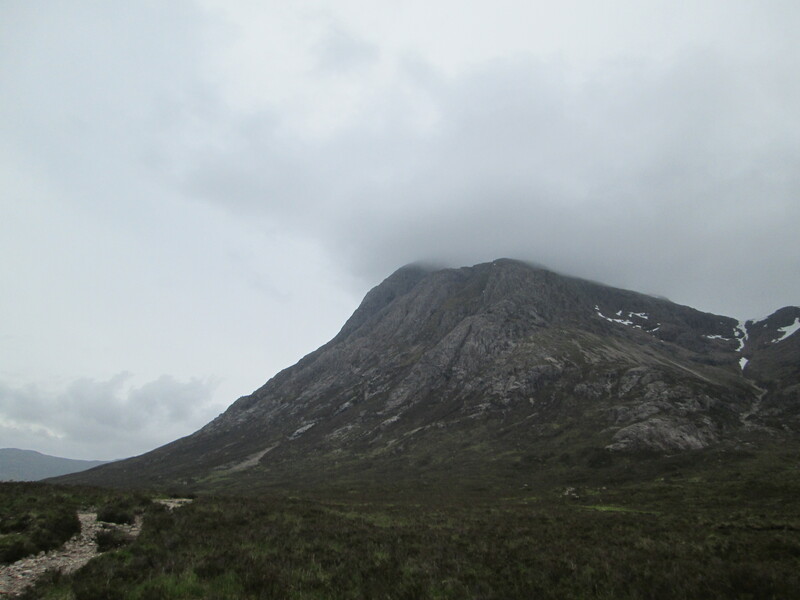 But the omens weren’t good, and I we decided that, rather than give up altogether, if the forecast was for low cloud, we’d eschew the high hills and try to find a good low level walk along. I got some good advice from Hillbagger on this – for which, again, my thanks. 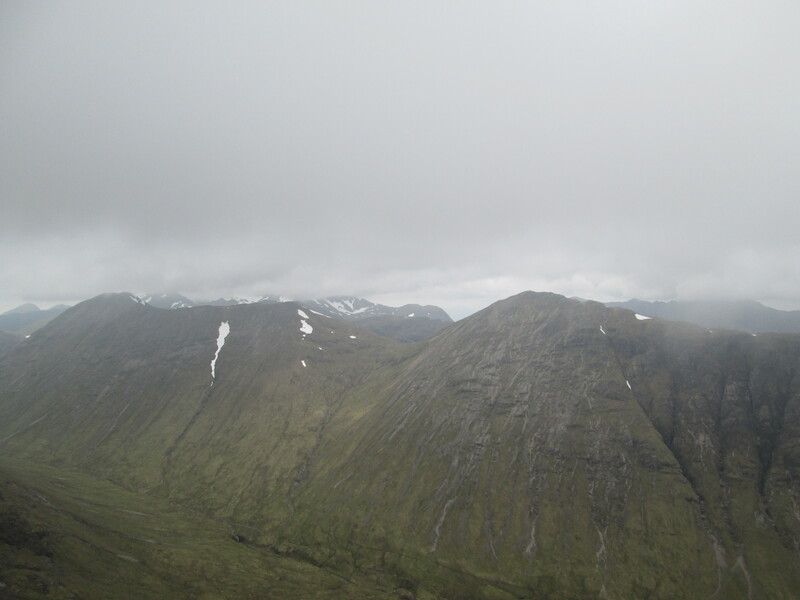 However, the weather folk got into quite a tangle in the days leading up to the booked dates about the progress of various low and high pressure areas, the upshot of which, when I printed out the MWIS on Wednesday afternoon, was pretty positive. 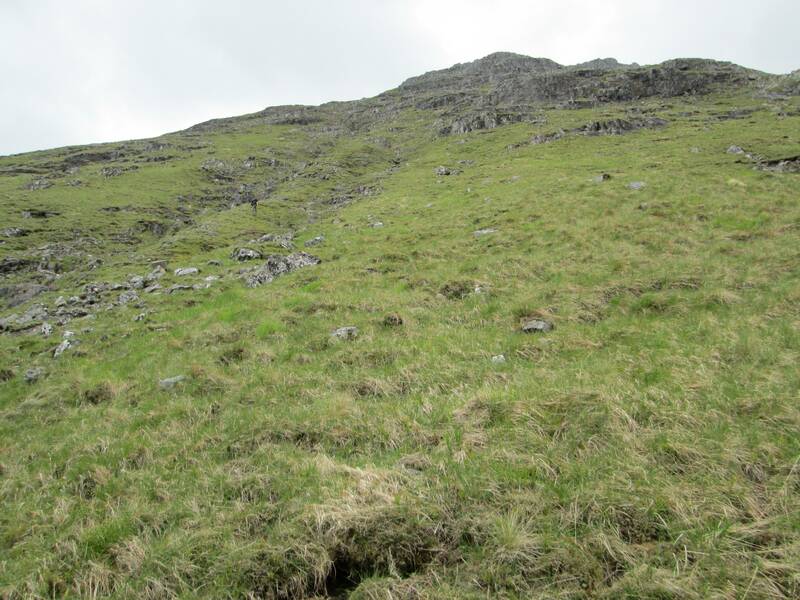 So we decided to go for them thar hills. 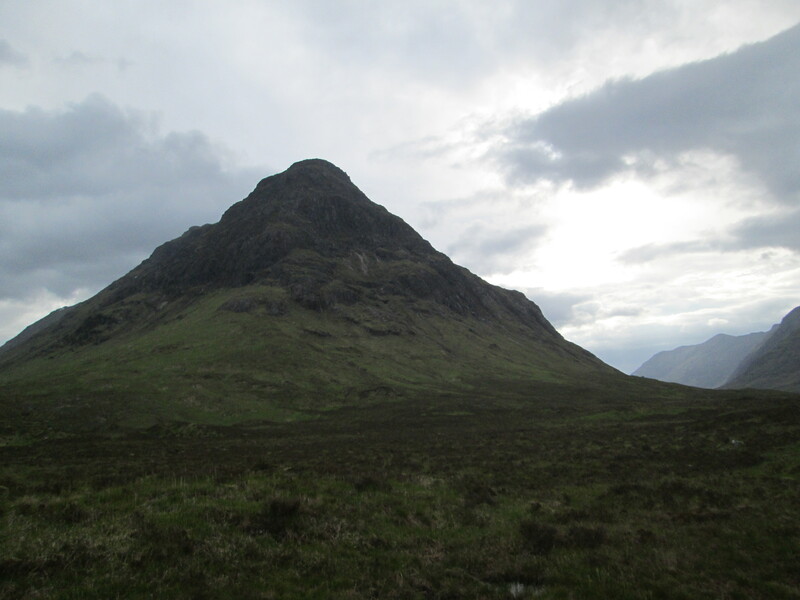 It poured down all day, from well South of Wigan right to the Squirrel campsite in Glencoe, and it was still raining when we pitched the tent at midnight. 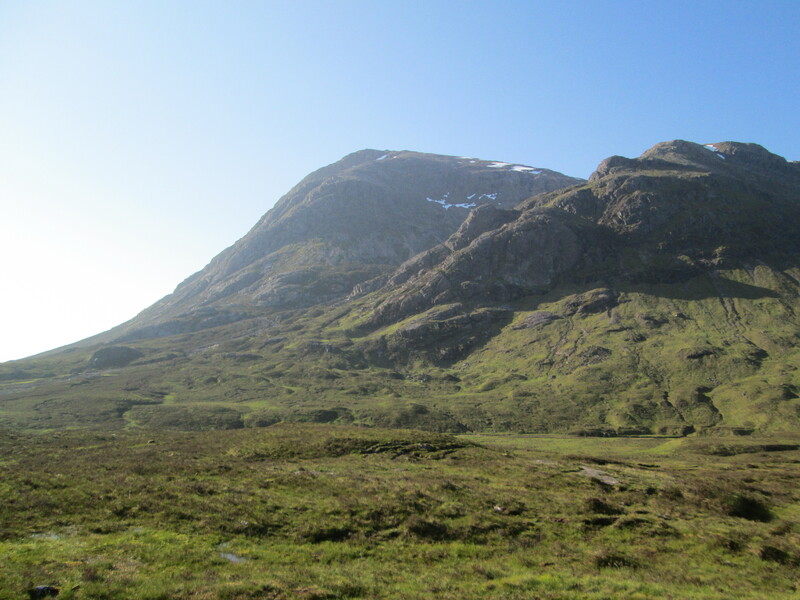 But the morning broke fair, and with a real spring in our hearts we drove the short way up to Altnafeadh to start the walk. 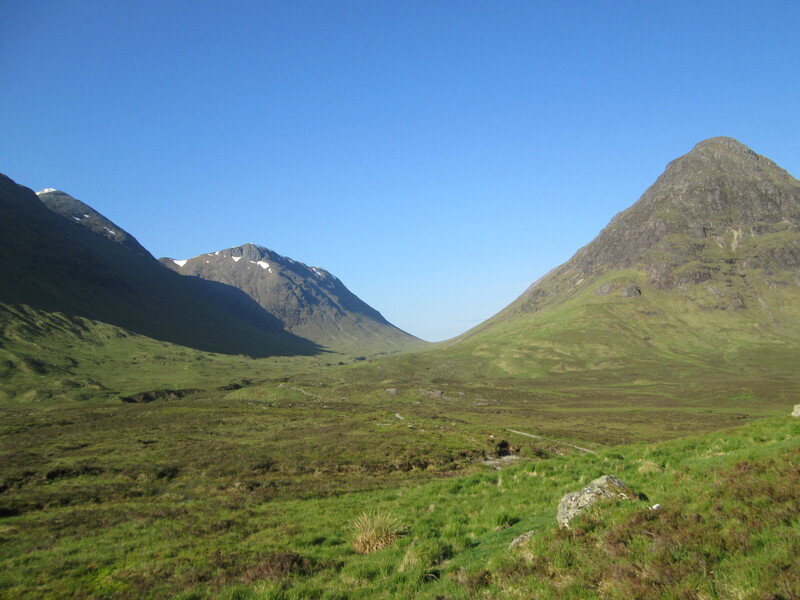 We hadn’t gone for the usual pre-dawn start, so we were pretty well rested, and really looking forward to tackling the 2 Buachaille ridges, starting with the Curved Ridge. 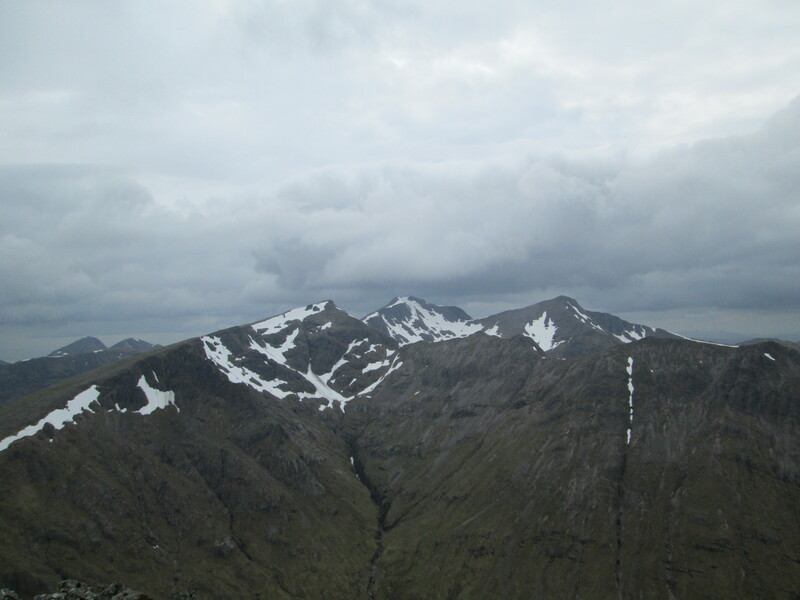 We’d eyed them with anticipation the previous August when we’d done Spidean, Sgurr nan Screamhach and Aonach Eagach. IMG_0443. 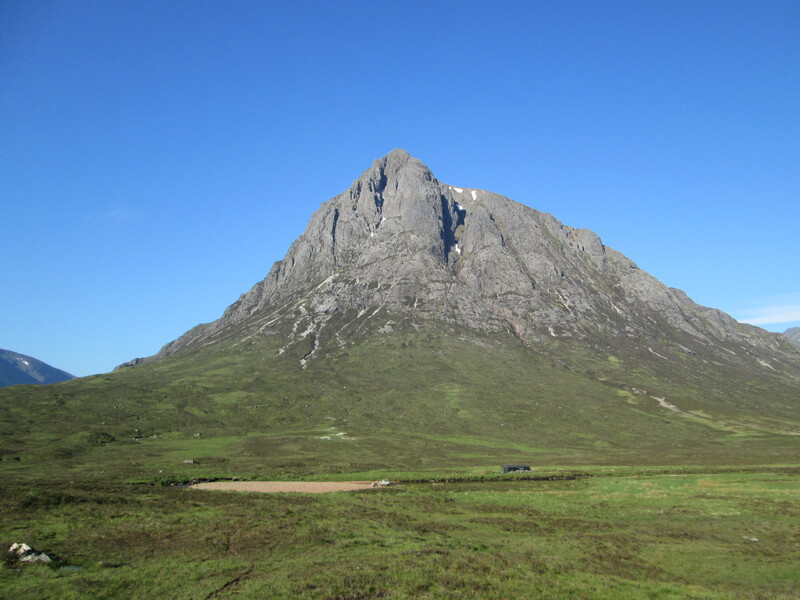 The most photographed hill in Scotland - apparently. 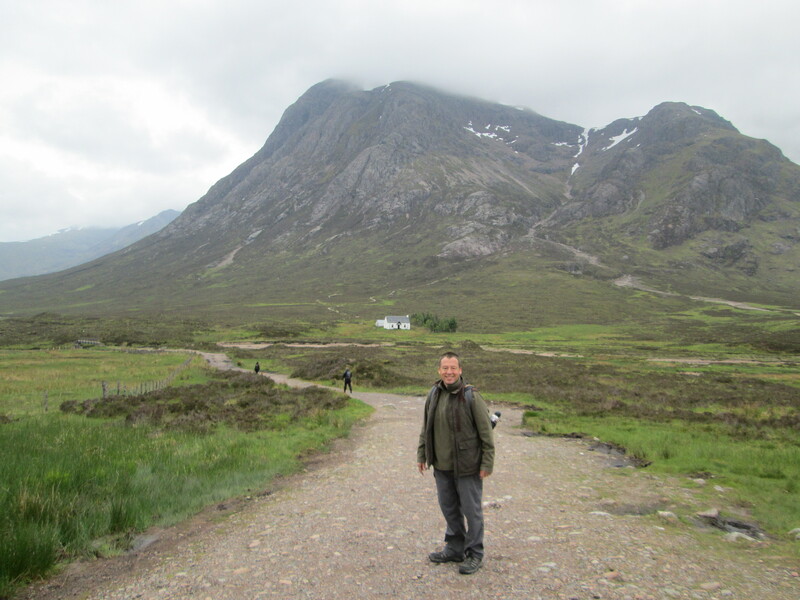 Dr Frank raring to get up Stob Dearg!!! IMG_0446. 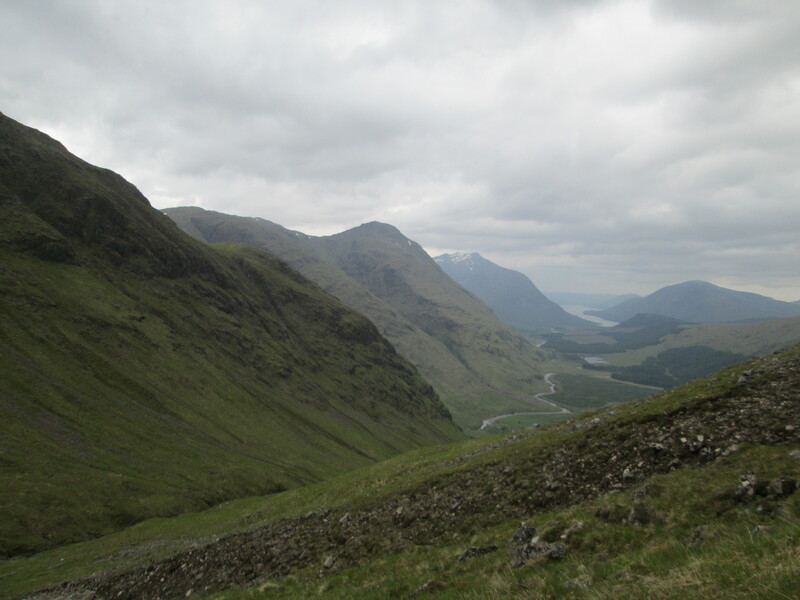 On the way up the Curved Ridge. It looks more difficult than it really is; the main issue is the exposure. 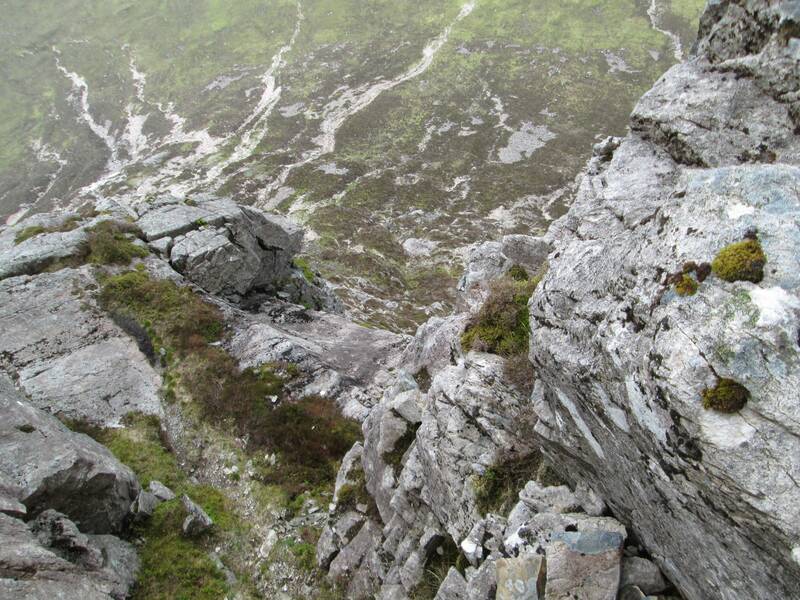 But it's wonderful scrambling with many slight diversions if you want to push yourself a bit. IMG_0448. 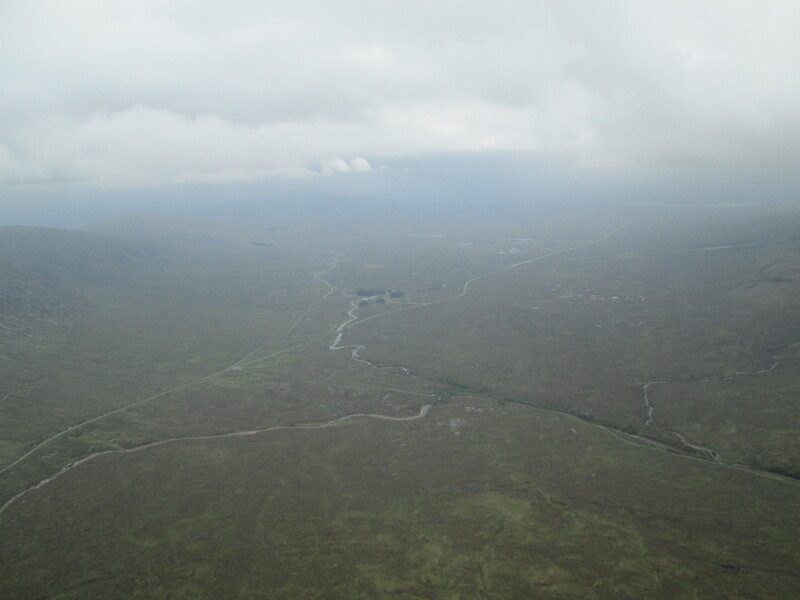 Rannoch Moor spread below us. Unfortunately it was into the clag after this. IMG_0449. 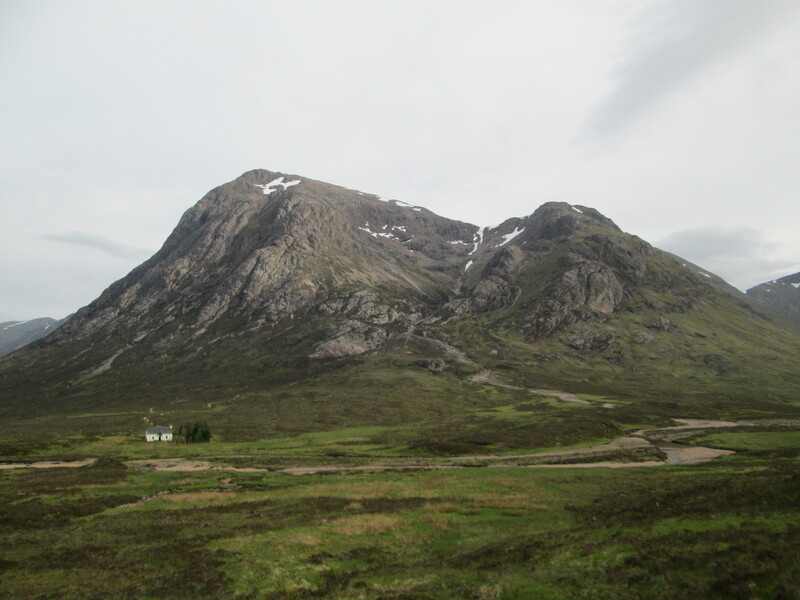 I refuse to take any more pictures of clag-bound summits, so no picture of Stob Dearg. 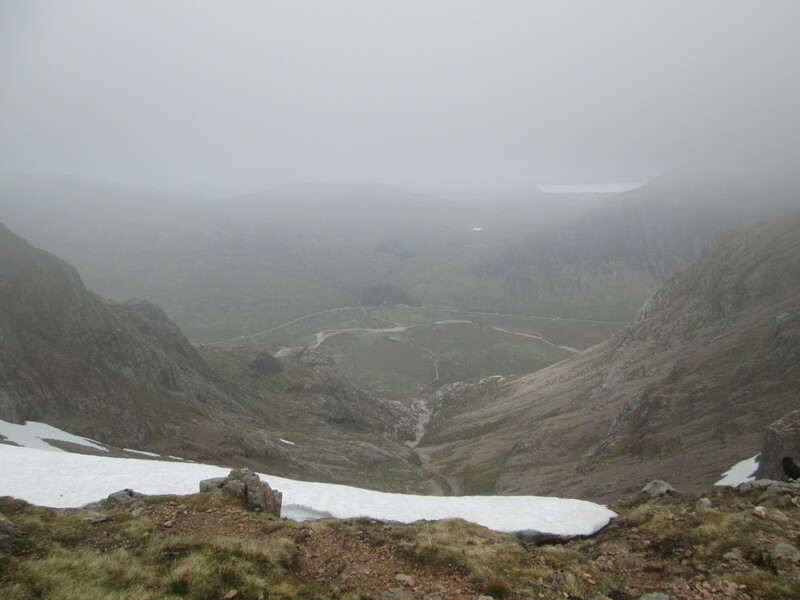 But this is looking back along the usual ascent path down Coire na Tulaich. IMG_0453. 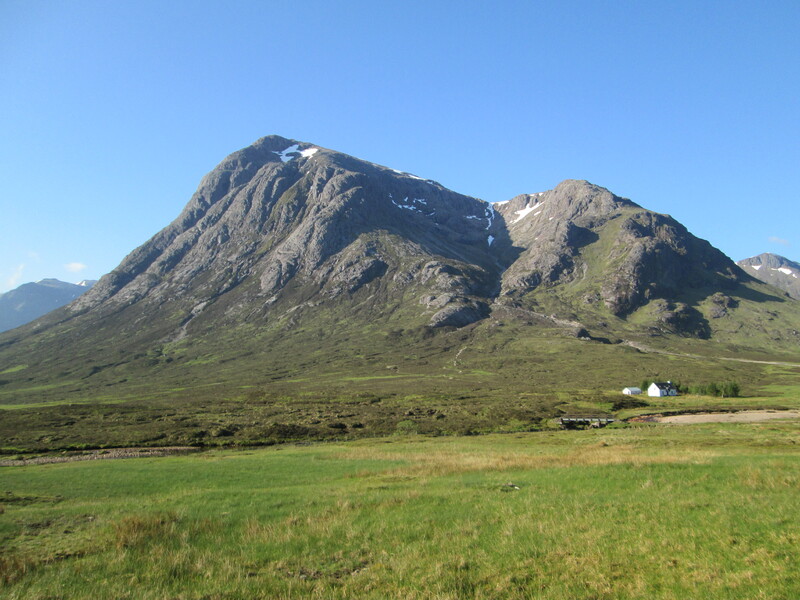 The little Buachaille. It doesn't look very far up ... but more of that later! IMG_0461. 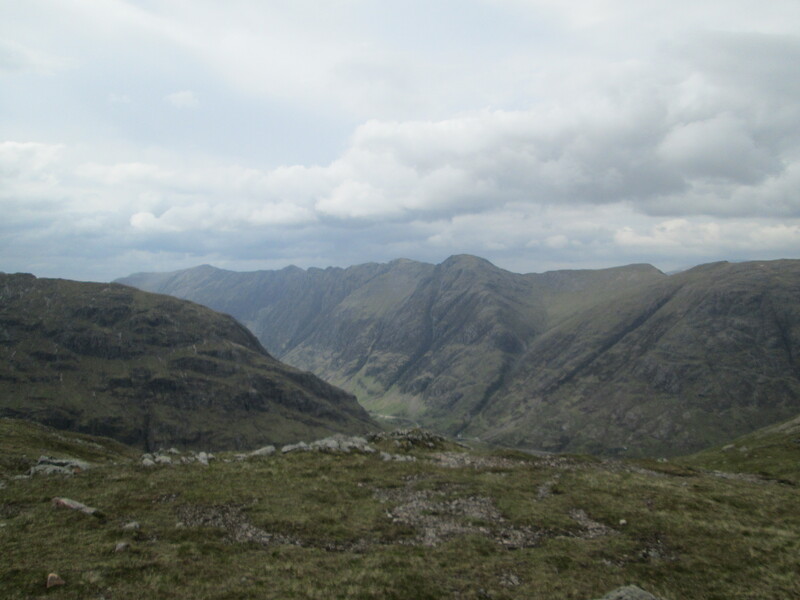 Brilliant ridge walking. 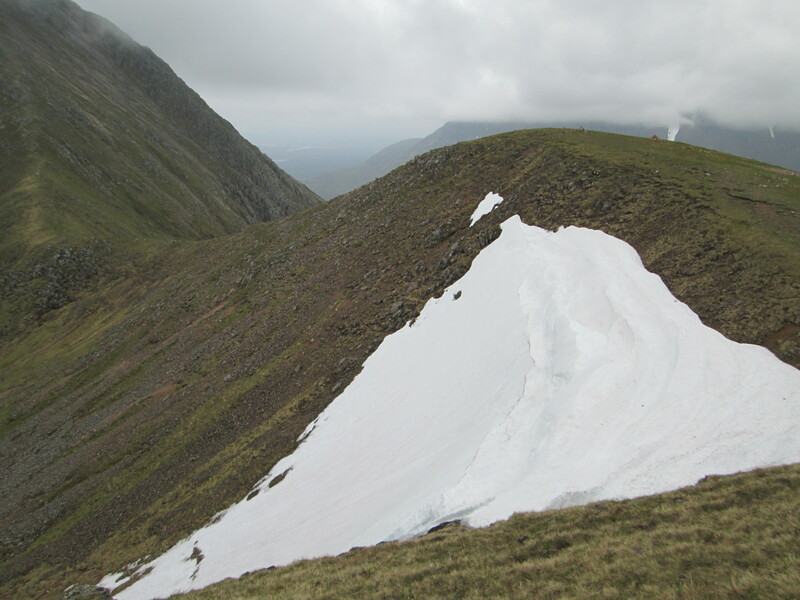 And remnants of this year's heavy snow everywhere in thick drifts. IMG_0464. 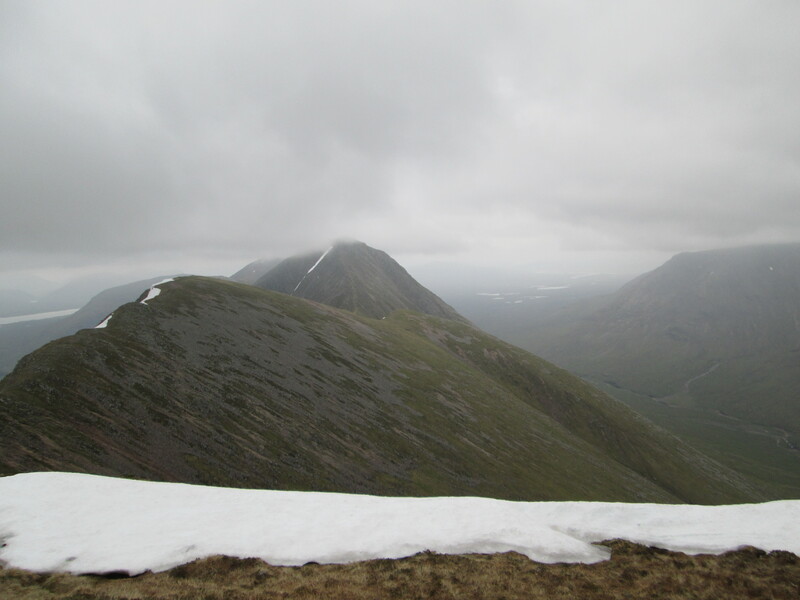 The view back along Buachaille Etive Mor from Stob na Broige, tops still in cloud. IMG_0466. It was quite steep, but perfectly doable. Unfortunately I'm getting a recurrance of the knee pain I'd had towards the end of my walk the previous weekend, and Dr Frank's diagnosis is a probable slightly split cartilage. IMG_0469. 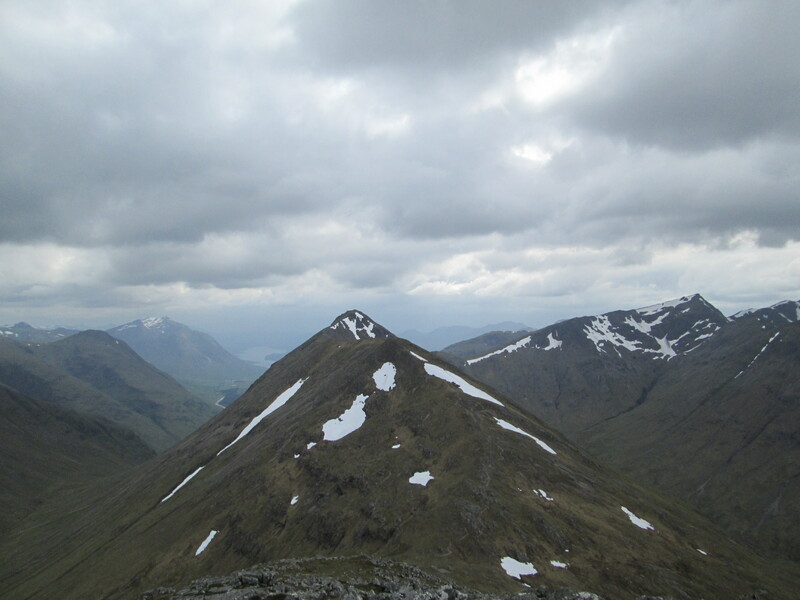 Looking SSW, there's the other local Stob Dubh (there must be very many of them), and (I think) Ben Starav in the distance, taken from the start of the slog from Lairig Gartain to Stob Dubh (the Buachaille one!). IMG_0472. 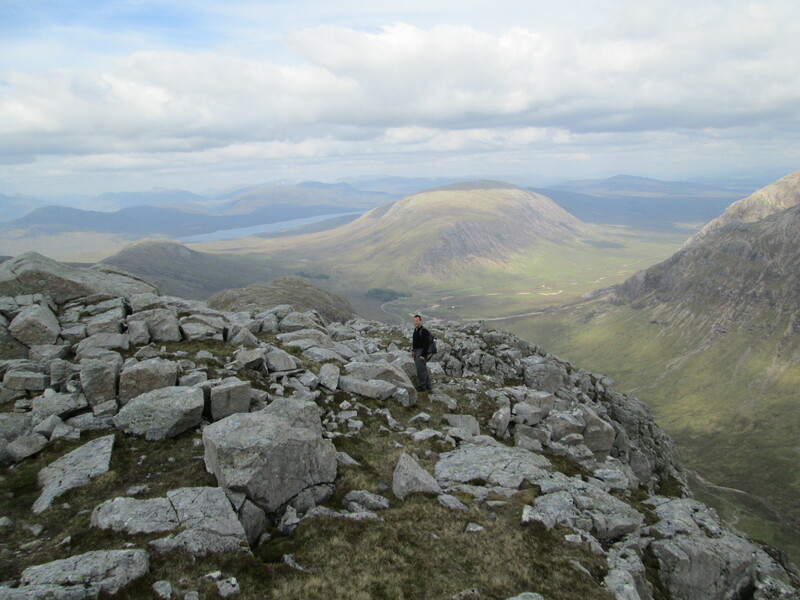 Looking back along Buachaille Etive Mor - that was fabulous! 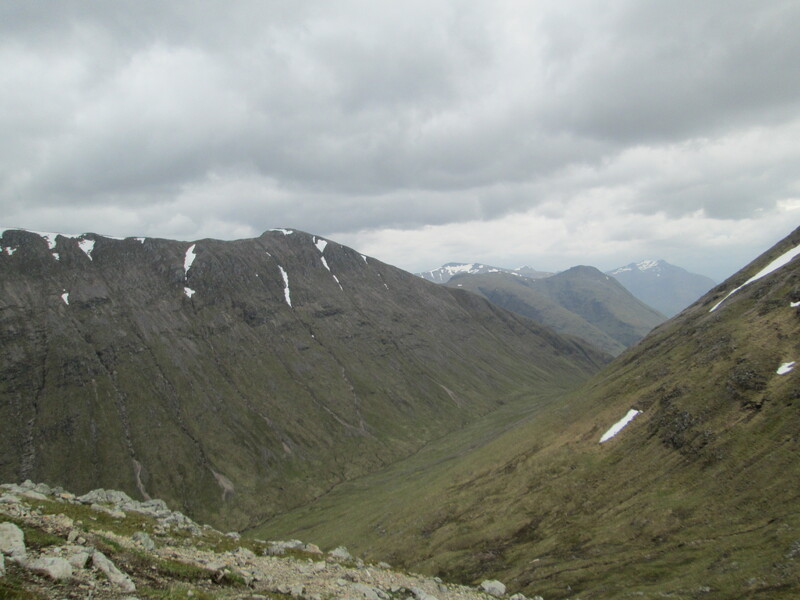 The descent from Stob na Broige looks much worse from here than it actually is. IMG_0473. 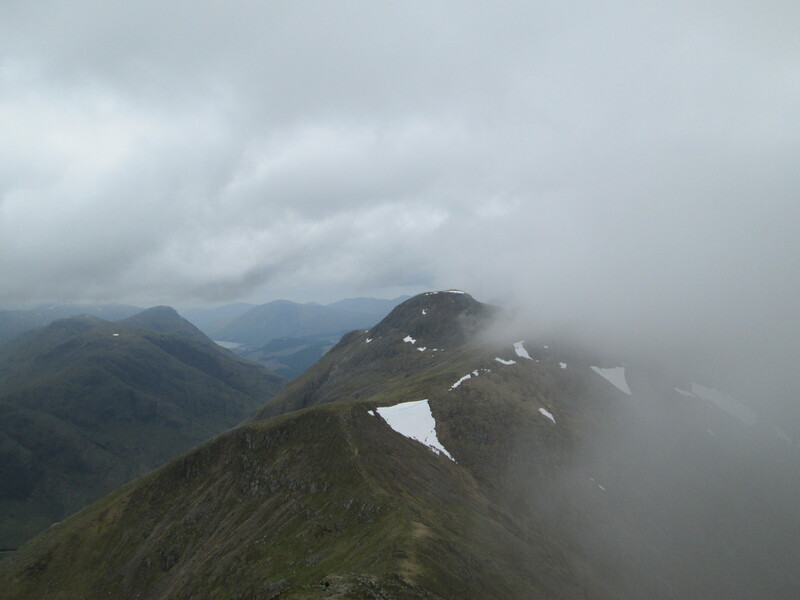 From Stob Dubh: Stob Coire Sgreamach and Beinn Fhada in the foreground, Bidean nam Bian in the background - catalysing wonderful memories from last August. IMG_0475. 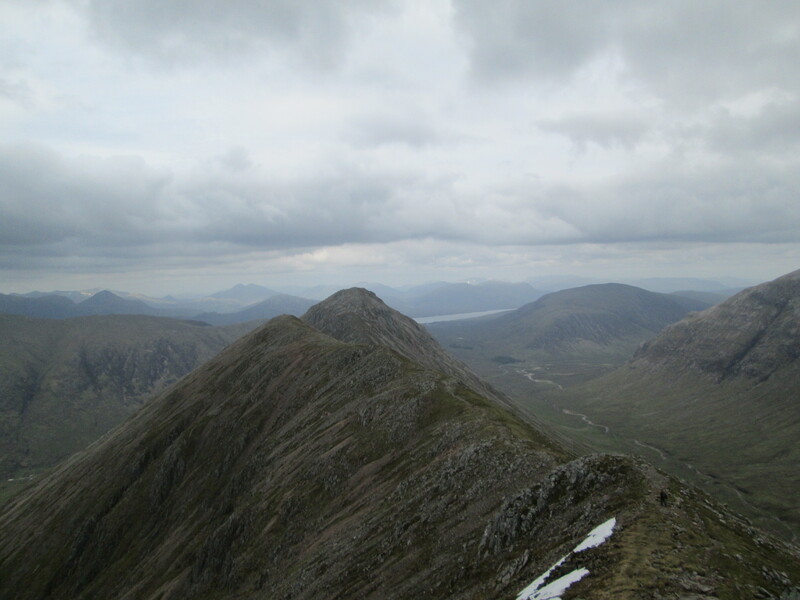 Looking along Buachaille Etive Beag from Stob Dubh toward Stob Coire Raineach. 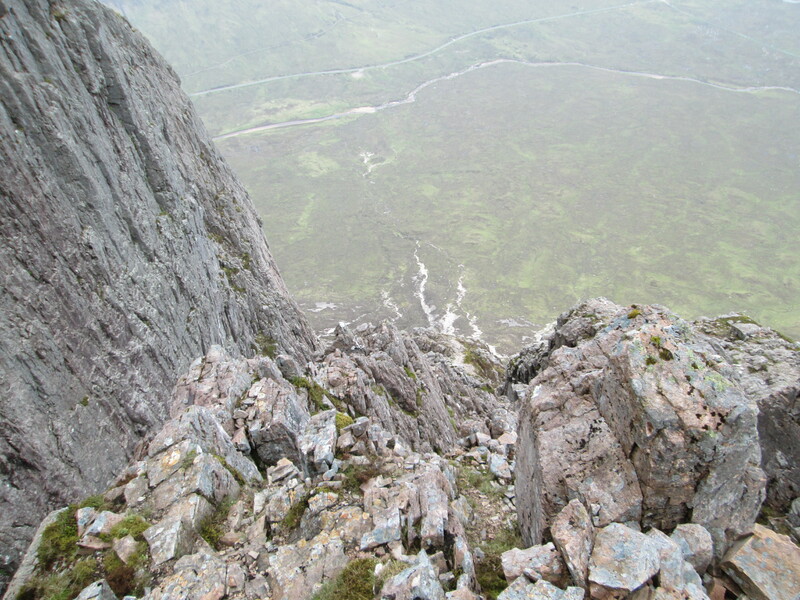 Easy ridge walking from here. The knee is holding up reasonably well, though the pain is intermittent and very variable in intensity. IMG_0478. 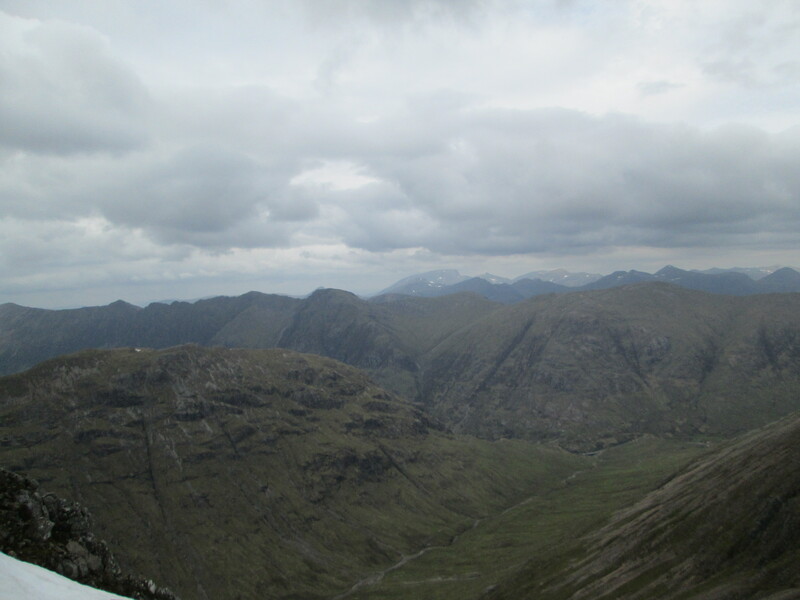 Could that be the Ben I spy in the distance...??? IMG_0484. 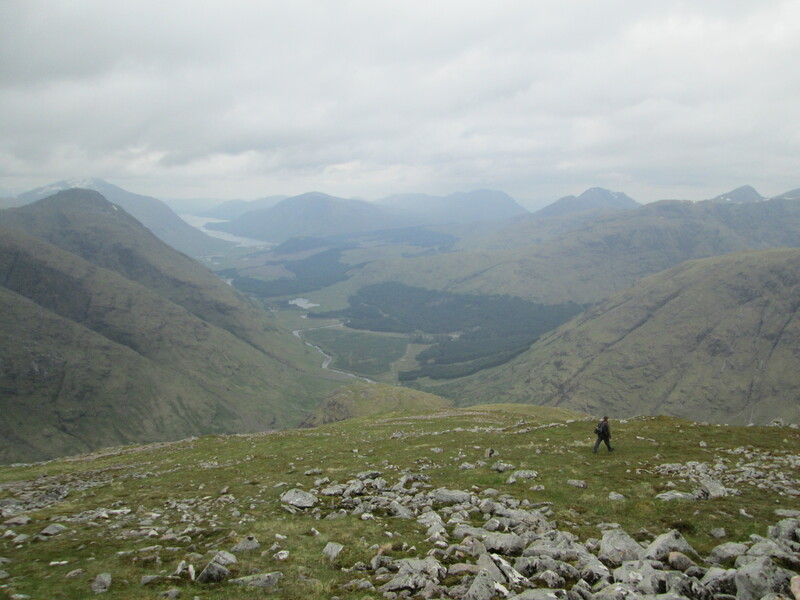 We met the only other walkers (2) on the ridge that day here at Mam Buidhe. 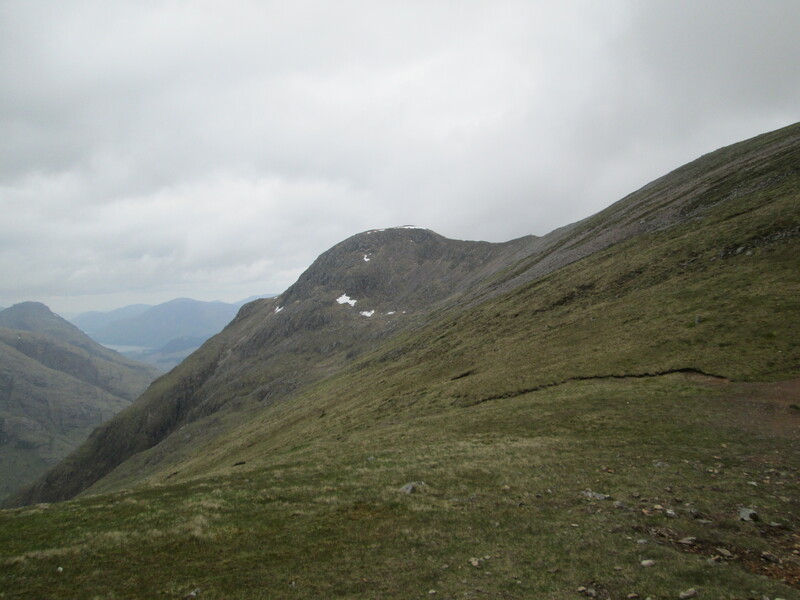 The last (gentle) climb to Stob Coire Raineach. IMG_0486. 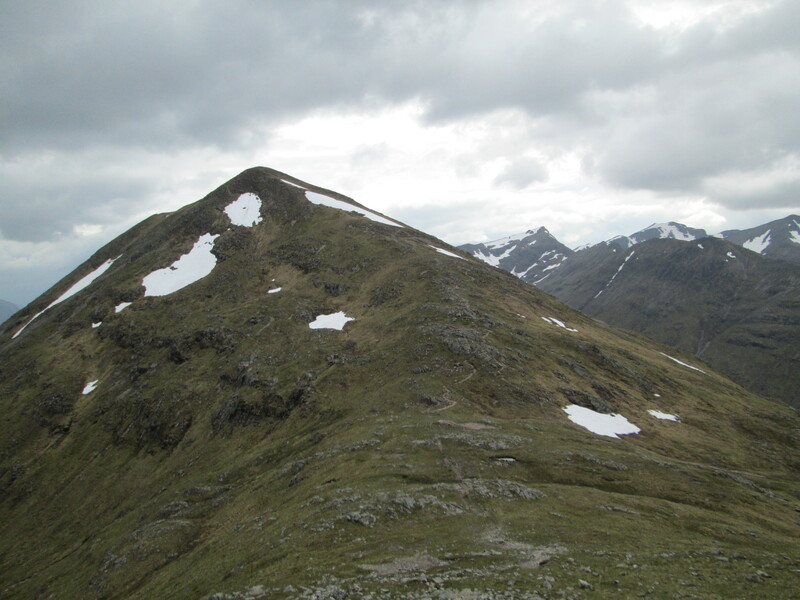 Looking back along the ridge to Stob Dubh, with Ben Starav in the far distance on the left, and Beinn Maol Chaluim to the right. IMG_0489. Wrong choice! 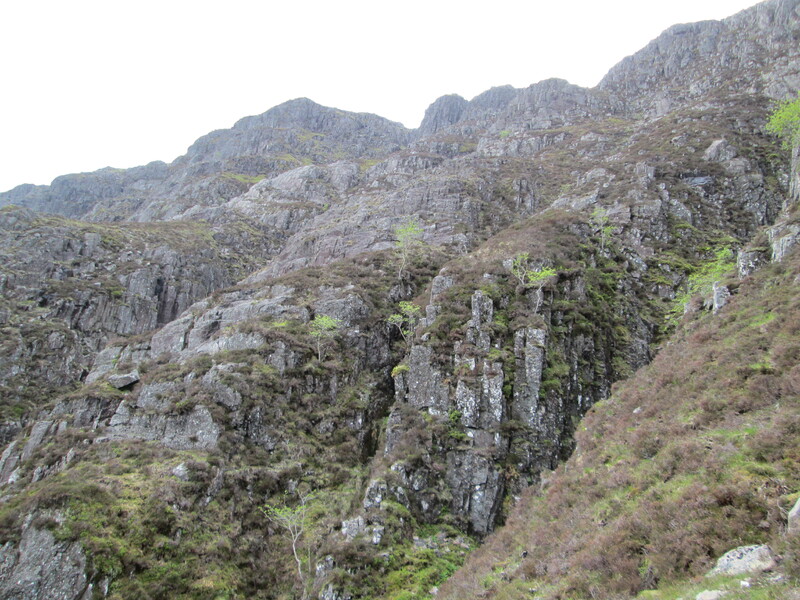 It's doable, but quite time-consuming, with significant scrambling and exposure (at least on the route we took). I don't recommend it! IMG_0492. 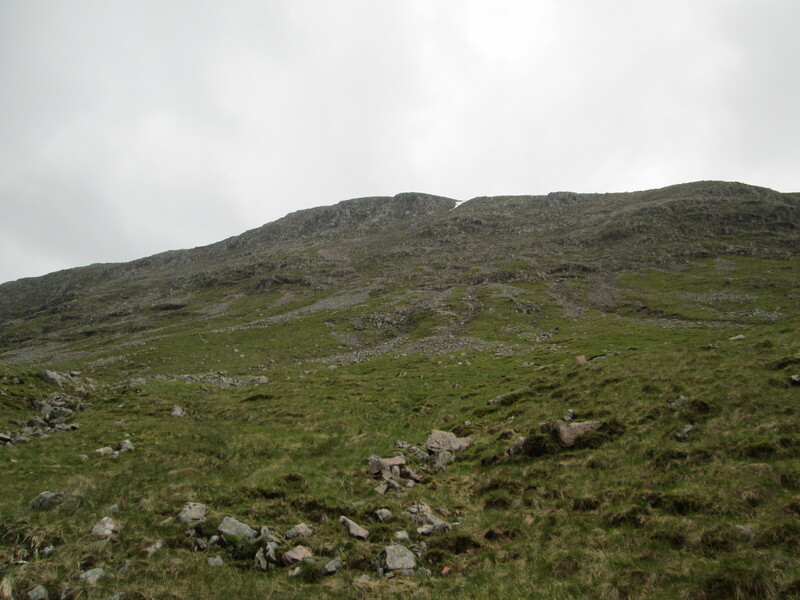 This is the route - there is actually a path we could see. 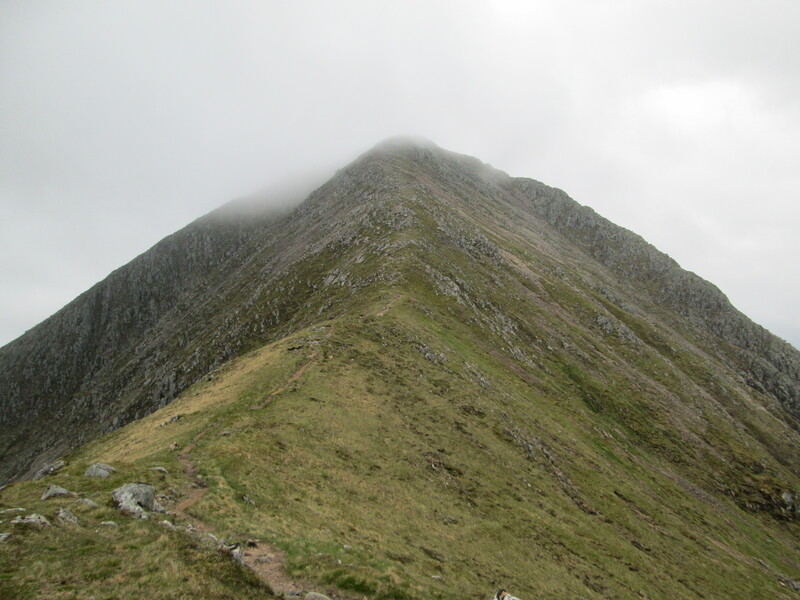 I think the problem was: finding the start from the top. IMG_0494. On the home straight now. 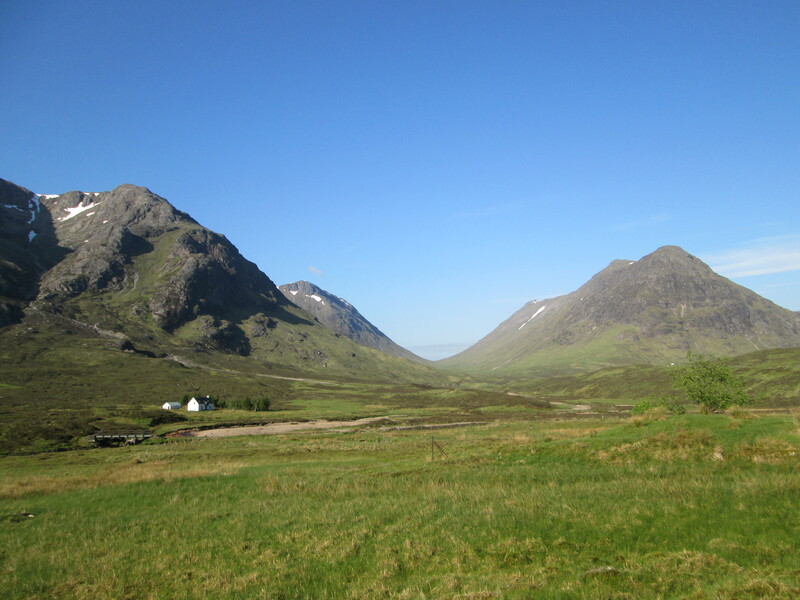 Looking back from where we'd come, Buachaille Etive Mor on the left, Buachaille Etive Beag on the right. Last edited by Alteknacker on Sat Jan 19, 2019 11:16 pm, edited 3 times in total. 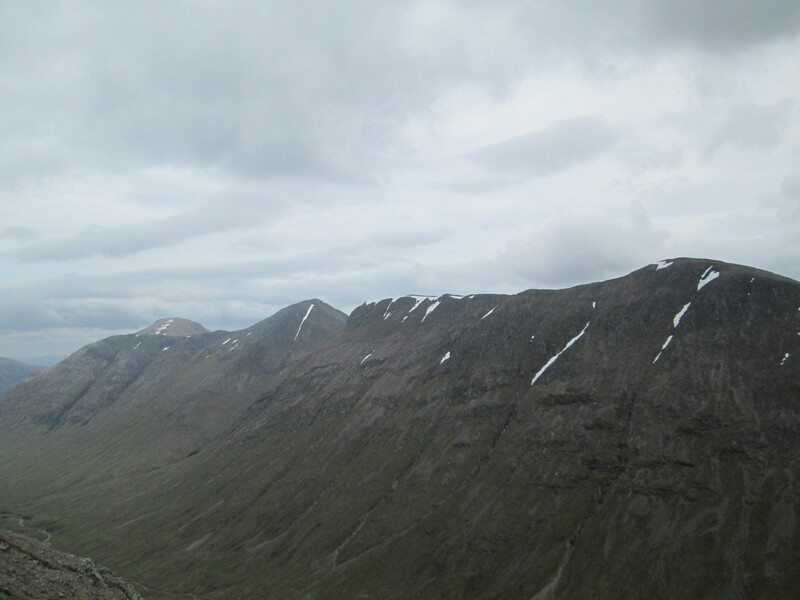 That's a decent achievement, Ak, Curved Ridge and both Buachailles. 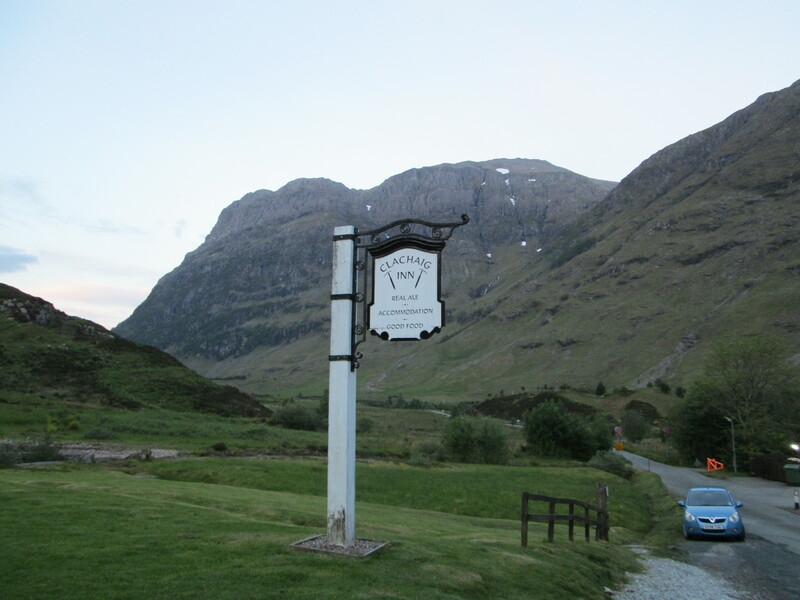 I've yet to climb anything in Glencoe, definitely something to look forward to. 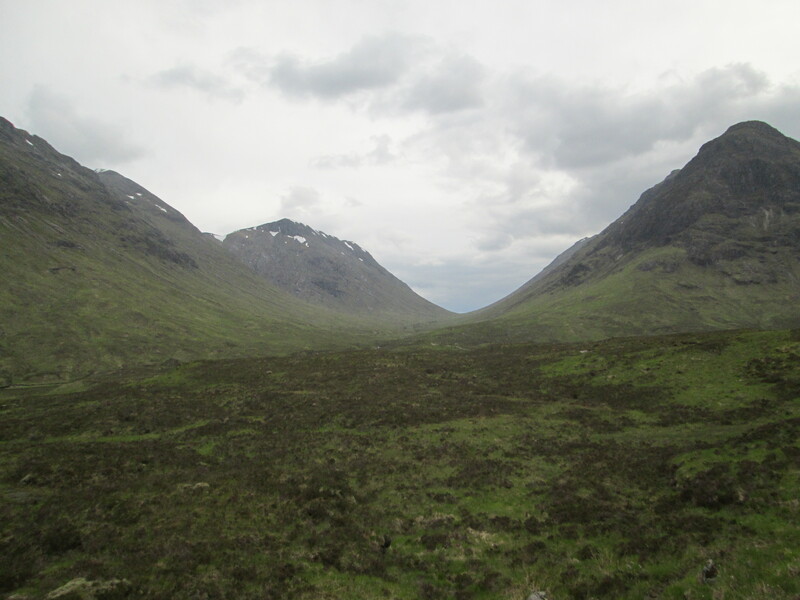 The only real way to do all the Buachailles although I must confess that it was only after the upgrading of the munros in the nineties that I got out this way (shame) It is a very good day out in the hills. 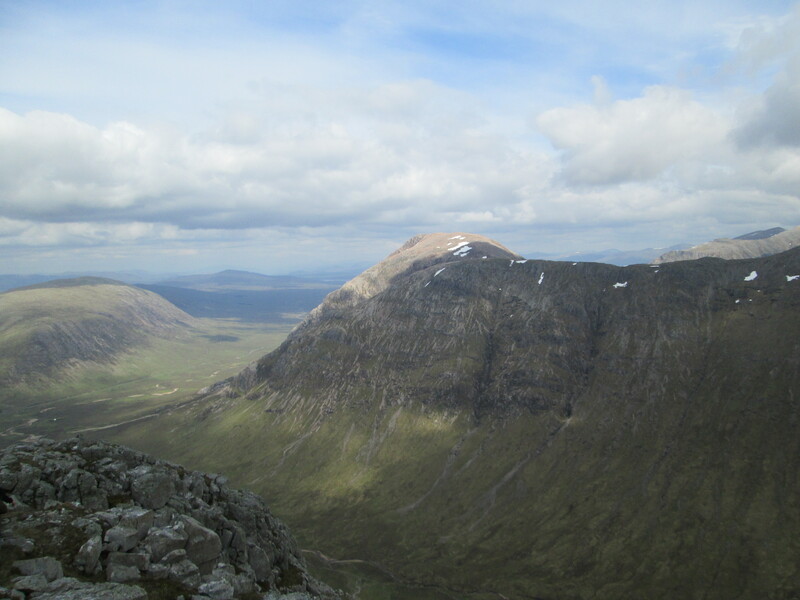 Prior to this it was a climb on the Buachaille then a descent of curved ridge back to the valley.